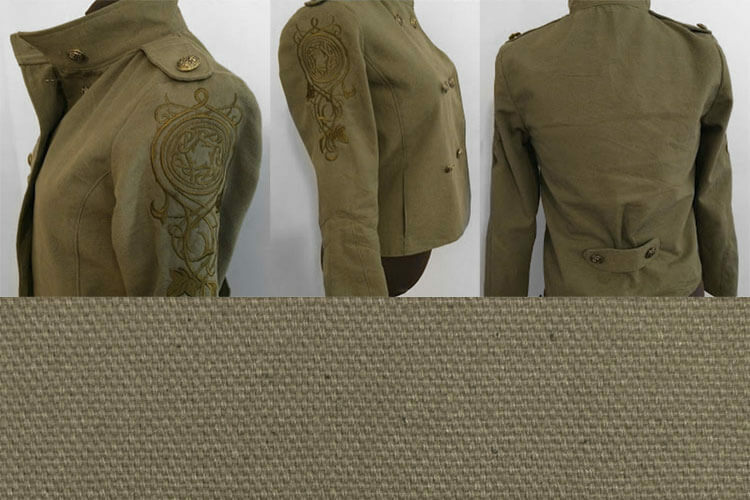 In honor of National Sewing Month, we held a photo contest for our favorite customer project. We got lots of great submissions making it really, really hard to choose! In the spirit of Halloween, we picked this ghost doll by Angela Clark as the winner of the $150 gift card. But we couldn’t leave it just there. We also chose 4 honorable mentions who will get $25 gift cards! Thanks to all of you who participated. We loved seeing how creative you are! See some more of the submissions on Instagram at #OFSmakers. “I’m a doll artist, and I use materials from OFS everyday. 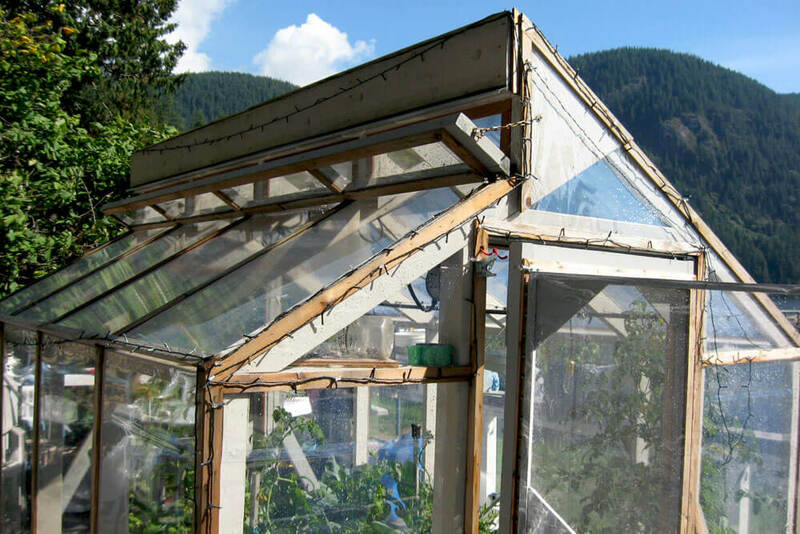 I have collectors around the world and have been published in magazines, and OFS products are always a part of every project I create. 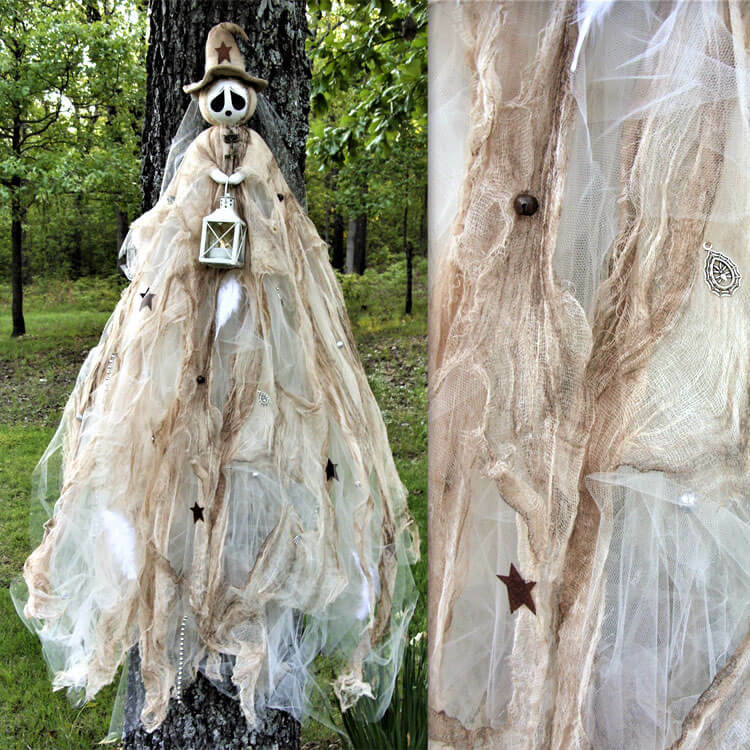 My entry is one of my signature pieces – a Tattered Witch Ghostie. I struggled for a long time with poor quality and overly expensive cheesecloth until I found it at Online Fabric Store. 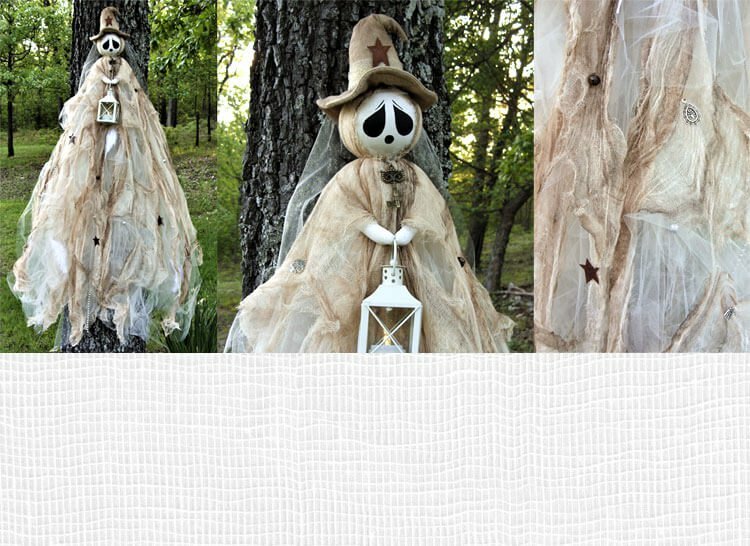 My ghost dolls are composed of several layers of dyed cheesecloth which I rip and tear for a “loved for a 100 years look”. I don’t buy the cheesecloth anywhere else anymore, and stock up like a crazy lady when OFS has a sale. You’re welcome Angela! Thanks for making really cool things with our fabric! And now something fun for the kids! 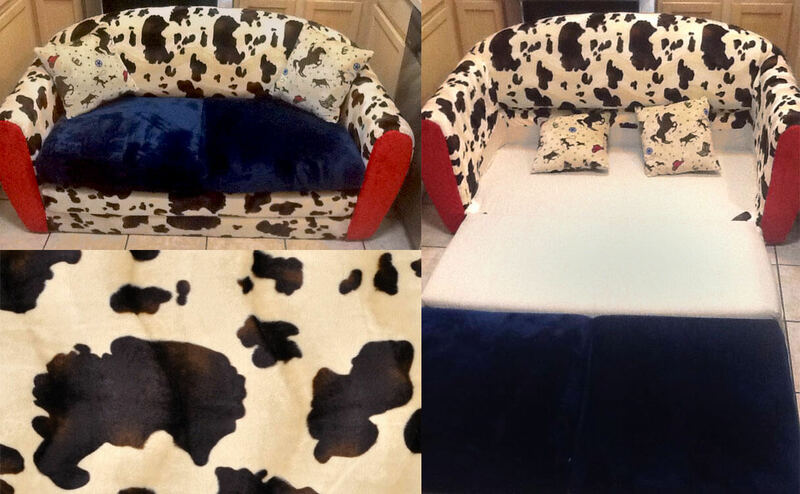 Thanks to Debra Williams for submitting this sleeper sofa made with Brown/Ivory Pony Velboa Faux Fur and 60″ Single Fill 12 Oz Duck for the interior part of the sofa. See the rest of our Velboa Faux Fur for more soft animal prints. 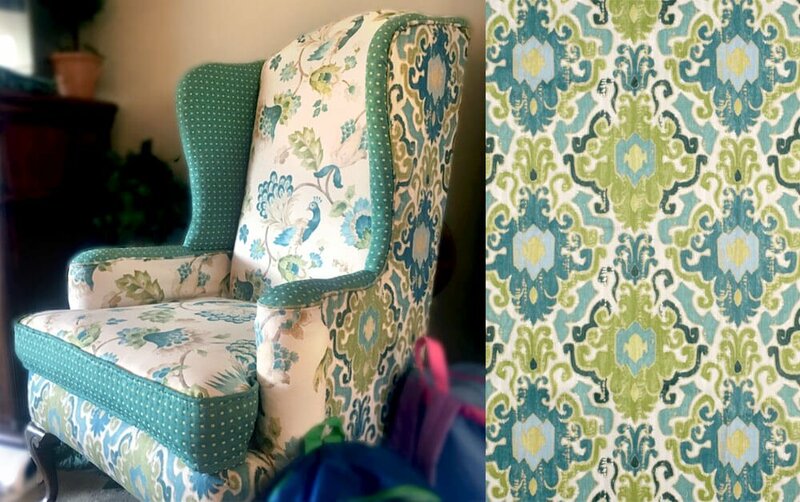 Kathy Inglima upholstered this awesome armchair using Swavelle / Mill Creek Toroli Aqua Fabric. This is her first time upholstering a wing back chair. Great pattern mixing! See more customer photos at #OFSmakers on Instagram.